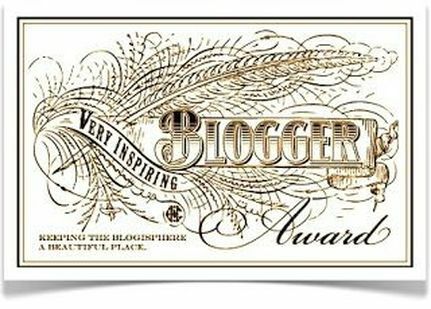 I have been honored with the Very Inspiring Blogger award by Hannah of Palindrome Dry Goods. Her blog is spot on and her taste in fabrics is delicious. Check her blog out here and Etsy shop here. Here’s how the award works! 4. State 7 hidden facts about yourself OR 3 things that inspire you. 5. Nominate other blogger friends for the award. I will choose to share three things that inspires me with you all. Fabric is as much a part of my memory as smell or music is the rest of us. When I see fabric from my past- the heart print sheet set from when I was a little girl, the jewel tone floral from the couch cushions my mom made, the mod polka dot print of my first day of teaching school skirt- I can recall instantly, effortlessly, the feeling of the time when I wore or felt or enjoyed the fabric (or didn’t enjoy, like the scratchy green lame’ sleeves from when I was a wintertime flower girl). I remember what each interviewer wore when I was interviewed for the Ford Family Scholarship when I was a senior in high school and when I applied for my first and only teaching job. I remember what many of my students wore on their first days of school, all eight first days that I have taught. For me, fabric choice is such a deliberate and personal thing, and though often free and easy when I’m standing in my closet or in the fabric store, I read into it a great deal. So when I’m checking out what someone wore to an important event, it isn’t with a negative eye. It is me making a memory and trying to discern what consciously or subconsciously the wearer was trying to feel by choosing it. 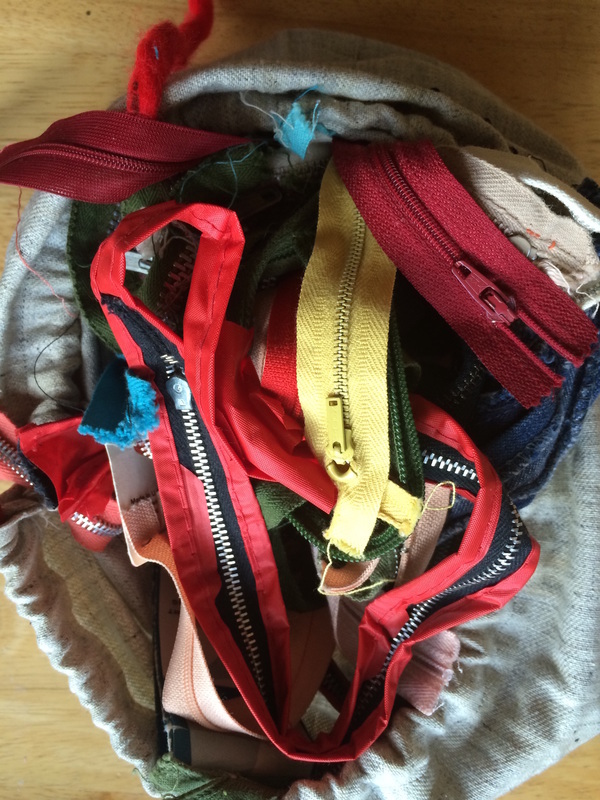 When I open dusty boxes of old fabric belonging to my Gram or other relatives I feel a great excitement and privilege, like I am seeing paints belonging to Botticelli or Michelangelo. This is all so, so “fabric nerd” of me but I will wear that label with pride. Fabric inspires me big time. My grandma Glory Ann inspires my creative process in many ways. She’s a realistic and practical sewist. I often think, “What would Gram do?” when faced with domestic dilemmas. She is 83 years young and has lived through some very tough and some very wonderful things. Because of her unfailingly kind and sensible influence, I am a better, more practical, reflective, and more realistic sewist and person. She would never splurge on yards of fabric without having a plan in mind for their use, for example. She and I might come up with a realistic plan on the spot in the fabric store, but we aren’t gals without a plan. When I make a mistake cutting, I admonish myself to be more like her, to read the directions more carefully before taking out the scissors. When I need to rip out a seam, I try to recall her saying, “Oh, it will be all right!” and laughing about a sewing misstep. When I suggested trying out an old, found pressure cooker without getting the gauge checked and without the instruction book, she wisely recalled a kitchen explosion of her own where berries and glass ended up in her ceiling. I thus got the pressure cooker checked. Frugality and thrift are popular buzzwords now but until you see the large sack of zippers my Gram ripped out of worn-out garments and saved her whole dang life for future use, I’m afraid you aren’t understanding the real philosophy of “make do and mend” the way she (and other awesome ladies of a certain age, time and place) does. I’m working my way through her sack of zippers, one project at a time, and I’ll never forget to ask myself, “What would Gram do?”. It is all well and good to say that money doesn’t matter but it does. It matters a lot. It matters a lot to me because I see money as time. The more money I make plus the less money I spend equals more time. I want all the time I can at home with my kids, spending time doing things I want to do. I love my job and am lucky to have a well-paying job that is so enjoyable and I wish the same for all of my students. But, I am inspired by those who figure out a way to make something last, make it for less, and make something better. If money-saving steps like hanging laundry out to dry (in my post here) and saving some strawberries from the compost pile (here and here) can become automatic, our lives improve in ways we can’t measure in dollars and cents. I was lucky enough to have some very frugal women in my family (my mom and Gram above, specifically) teach me how to do things the smart way, as opposed to the easier, and often more expensive way, and thus I spend very little time thinking about money now. I want to work smarter, not harder, and I’m inspired by anyone who does just that. I’d like to nominate Elena of Randomly Happy. Her sewing technique is top notch and I love her choice in fabrics. Her writing style is smooth as silk as well. 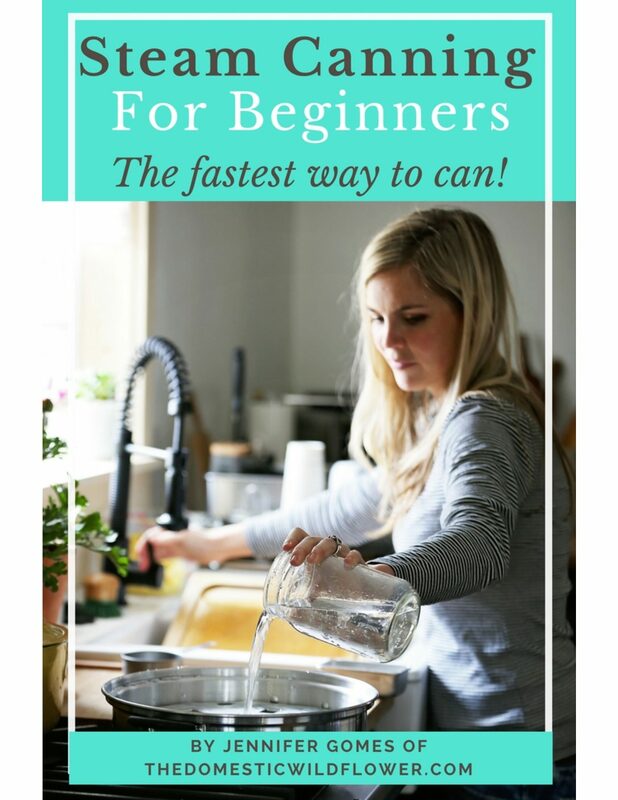 Be sure to check out her very inspiring sewing blog! What inspires you, Wildflowers? Share in the comment section below!